Australia’s environmental movement has been overthrown. How Australia became the dirtiest polluter in the developed world. 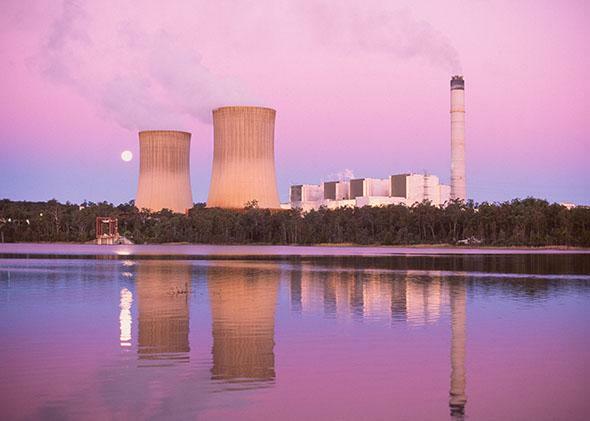 Water vapor and unseen oxides of carbon and other elements rise from a coal-fired power station, contributing to air pollution in Tarong, Queensland, Australia. Australians like to think of themselves as green. Their island country boasts some 3 million square miles of breathtaking landscape. They were an early global leader in solar power. They’ve had environmental regulations on the books since colonial times. And in 2007 they elected a party and a prime minister running on a “pro-climate” platform, with promises to sign the Kyoto Protocol and pass sweeping environmental reforms. All of which makes sense for a country that is already suffering the early effects of global warming. And yet, seven years later, Australia has thrown its environmentalism out the window—and into the landfill. The country’s landmark carbon tax has been repealed. The position of science minister has been eliminated. A man who warns of “global cooling” is now the country’s top business adviser. In November, Australia will host the G-20 economic summit; it plans to use its power as host to keep climate change off the official agenda. If the environment has become Australia’s enemy, fossil fuels are its best friend once again. Two months after it struck down the carbon tax, the government forged a deal with a fringe party led by a mining tycoon to repeal a tax on mining profits. It appointed a noted climate-change skeptic—yes, another one—to review its renewable energy targets. Surprise: He’s expected to slash them. Independent modeling in a study commissioned by the Climate Institute, Australian Conservation Foundation, and WWF-Australia finds that the cuts to renewable energy won’t reduce Australians’ energy bills. They will, however, gift the country’s coal and gas industry another $8.8 billion U.S.
At a time when solar power is booming worldwide, sunny Australia is rolling back its state-level subsidies (despite domestic success) and canceling major solar projects. Meanwhile, the government has given the go-ahead to build the nation’s largest coal mine, with an eye toward boosting coal exports to India. Did we mention that Australians’ per-capita carbon emissions are the highest of any major developed country in the world? Welcome to the Saudi Arabia of the South Pacific. No, Australia isn’t a theocracy, and oil isn’t the source of its fossil-fuel riches. But it is the world’s second-largest exporter of coal and third-largest exporter of liquefied natural gas, and minerals and fuels account for nearly 50 percent of its export revenues. Its per-capita carbon emissions actually exceed those of Saudi Arabia. And its behavior of late is beginning to bear an ugly resemblance to those petro-states whose governments seem to exist chiefly to guarantee the spectacular profits of the fossil-fuel industry. “Let’s see,” Australian leaders must wake up wondering every morning: “What natural wonder could we trash today?” At the top of that list is the pristine Tasmanian Wilderness World Heritage Area, nearly two-thirds of which the new government pledged to open to commercial logging. Environmentalists argued the logging would harm threatened species such as the swift parrot, the wedge-tailed eagle, and the iconic Tasmanian devil. Those concerns were waved aside by the state government, which, like the federal government, is controlled by the Liberals. Fortunately, their plans were thwarted when UNESCO rebuffed their attempt to repeal the forest’s World Heritage protections. How the Liberals and their coalition partners have undone so many environmental policies in such a short time is a study in the power of biased media and irrational thinking. From the moment the pro-climate Labor Party took power in 2007, opposition leaders and pundits made its environmental policies the focal point of their political attacks. Even environmental policies established under previous Liberal regimes became politically polarized as conservatives recast environmental policies as “job-destroyers.” The carbon tax turned into Australia’s equivalent of Obamacare as the opposition sought a wedge with which to pry apart the Labor Party’s coalition with the environmentally focused political party, the Greens. In some ways, environmental policies are even more vulnerable to being cast as job-killers than health care policies are, because the benefits are less tangible to the individual. But Abbott and his allies haven’t just turned the public against environmental regulations with threats of economic doom. They’ve also worked hard to shake the public’s trust in climate science. And they’ve done it in a way that would surprise most Americans: by comparing environmentalists to religious kooks. 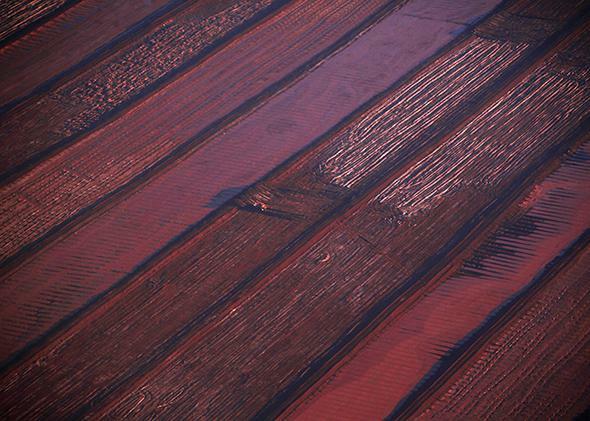 The Rio Tinto alumina refinery and bauxite mine in Gove, also known as Nhulunbuy, located about 400 miles east of Darwin in Australia’s Northern Territory, pictured on July 16, 2013. Embracing the analogy, the former Liberal Prime Minister John Howard gave a speech at a U.K. fracking conference in 2013 titled “One religion is enough,” in which he called action on climate change “a substitute religion.” Interestingly, while the global-warming-as-religion line probably wouldn’t play as well stateside, it seems that the U.S.-based think tank the Heartland Institute has played a key role in funding Australia’s denial movement. Also instrumental in sowing doubt and apathy has been Rupert Murdoch’s News Corp., which owns about two-thirds of Australia’s metropolitan press and the dominant dailies in most state capitals. According to a study by the Australian Centre for Independent Journalism, coverage of the former Labor government’s climate-change policies by News Corp. papers was 82 percent negative. Even so, belief in climate change remains relatively high among Australian voters. According to a 2014 Lowy Institute poll, 45 percent of Australians now see global warming as a “serious and pressing problem,” up 5 points since 2013. (Forty percent of Americans believe it to be a major threat, a 2013 Pew Research poll found.) But belief is not the same as action. The conservatives’ cultivated agnosticism about climate issues is abetted by the nation’s general indifference about what happens in the “Outback.” Australians have long turned a blind eye toward the 70 percent of the country that is arid bushland and the small number of people who live there. Global mining companies like Rio Tinto run desert fiefdoms in the Northern Territory that are larger than Washington, D.C. The miners themselves—largely fly-in, fly-out workers—barely live in the remote, often indigenous, communities of Western Australia, the Northern Territory, or Queensland whose land they’re gutting and whose small towns they’re destroying. Many commute from Sydney and Melbourne, or even New Zealand and Bali. Historically, this apathy extends beyond mining. In the 1950s and early 1960s, the government allowed the British to conduct nuclear tests and blast Western Australia’s Monte Bello Islands and parts of South Australia. And just this August, the conservative minister for defense told U.S. Secretary of State John Kerry that the American military was “welcome to use the ‘open spaces’ of the Northern Territory” for their bases and military exercises. (There’s been a U.S. Marine base in Darwin for years.) Imagine the United States gifting Alaska to the Canadian army for war games. There are some who would like to estrange this swath of the country even further from Australia’s coastal population centers. Mining magnate Gina Rinehart, one of the richest women in the world, has lobbied for the continent’s northern third to be declared a “special economic zone” with reduced taxes, a lower minimum wage, and scant regulation. If Australians have grown apathetic toward the use of their country, it is fair to point out that it seems equally apathetic toward them. Beautiful as it is, it’s a harsh land in which to make a home. It’s often on fire, usually in drought, and when the streams aren’t bone dry, they’re flooding—all natural disasters that are already being exacerbated by global warming.